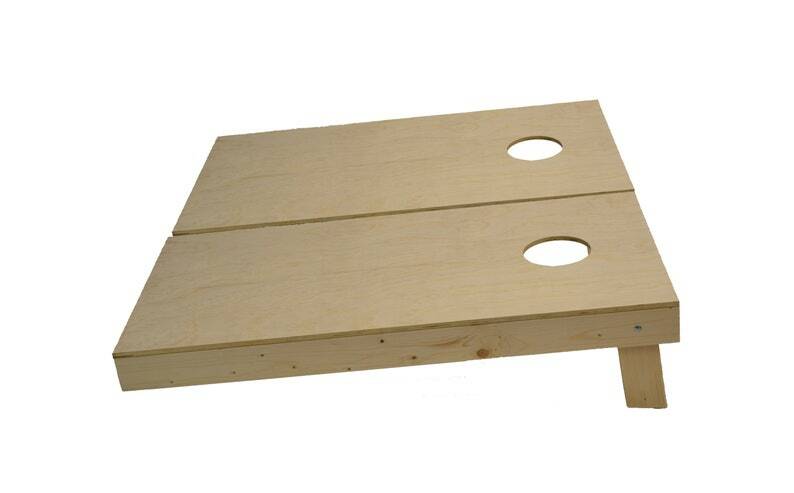 Top quality handmade regulation sized corn toss boards. Bags and boards are ACA & ACO certified. Ships same or next business day and includes 8 15-16oz 12oz duck cloth bags available in 20 colors. These are DIY boards and will require sanding, we do a rough sand before shipping them out. Items ship with FedEx Ground or FedEx Home Delivery with 1 to 5 business day delivery. AK and HI have an additional shipping cost, please contact us before ordering. We cannot ship to APO/FPO addresses. These are solid wood products, they are not made to be left outside at all times. Leaving them in the rain will warp the boards. Do you ship to HI & AK? We do ship to these locations, however you need to contact us for a shipping quote before ordering.